(Gallatin County, Mont.) 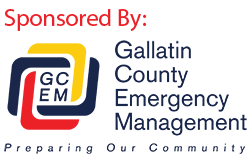 On Wednesday, August 23, 2017 at 2:11 pm., the Gallatin County Dispatch Center received a call regarding a 59-year-old female from Washington who had fallen off her horse and sustained injuries to her hip and shoulder. The female was approximately two miles up the trail from the Bacon Rind trailhead in Yellowstone National Park. Initial information indicated that the female had been unable to move from the spot where she had fallen for about two hours. The location of the rescue incident was near the border between the Gallatin National Forest and Yellowstone Park. Personnel from the Gallatin County Sheriff’s Office and Yellowstone National Park (YNP) responded. YNP personnel in the area were able to conduct a hasty search of the trailhead and made contact with the patient within a very short time. The female was more mobile by this time and was willing to attempt to hike out with assistance from a friend and park personnel. Rescue efforts continued at the trailhead, with personnel and gear arriving and gearing up. Personnel on horseback and a ground crew with a specialized one-wheel liter were arriving and preparing to go up the trail. Communications with the rescue personnel on scene with the victim indicated that the patient was doing fine and was successfully walking out on her own. The female was able to work her way out to the trailhead and decided to go to the Big Sky Medical Center for evaluation in her own vehicle. Gallatin County Sheriff Brian Gootkin would like to remind everyone of the importance of good communication resources when using the great backcountry areas that we all get to enjoy. In this incident, no cell phone coverage was available in the area of the accident, but the female was traveling with friends and they had two-way radio communication with a base camp that did have cell service. Remember to have a fully charged cell phone and another means of communication like an emergency beacon or satellite phone.